Real time monitoring developer and manufacturer, Advanced Polymer Monitoring Technologies (APMT) and distribution and logistics services provider Austin Chemical Company, have announced a strategic partnership. The partnership aims to combine the two companies’ strengths which will benefit the products and services in areas of polymers and pharmaceuticals. The Austin Chemical team will initially focus on its automated means of monitoring polymers during synthesis and other processing steps. 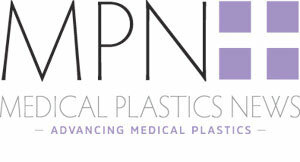 APMT expects to work with Austin on pharmaceutical applications related to APMT’s and ARGEN product, which has unique capabilities for assessing stability and aggregation of biopharmaceuticals. “Our collaboration with Austin Chemical will expand the reach of our offerings to an international network of manufacturers and researchers. Austin’s reputation and forty-year history of success in the specialty chemicals and pharmaceutical industries makes this an exciting new partnership for our company.” said Alex Reed, CEO of APMT. “Both the ACOMP and ARGEN products are tremendous additions to Austin Chemical’s offerings. The data streams generated from these products have the potential to revolutionise research and manufacturing in these industries. We are excited to be working with a dynamic company like APMT.” said Sam Ponticelli, chairman and CEO of Austin Chemical.